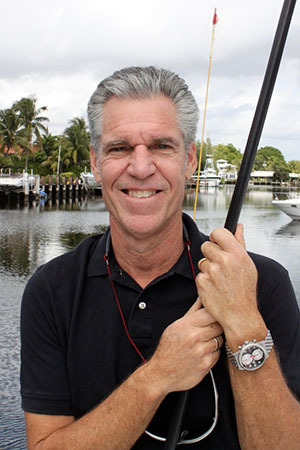 Over the past few decades I’ve been privileged to earn my living as a yacht broker who specializes in catamarans. I’ve visited about 50 countries in the business and made great friends the world over, most of whom have taught me valuable nuggets of information on the art of catamaran voyaging. I am asked, often enough, how safe is it to sail on a catamaran? 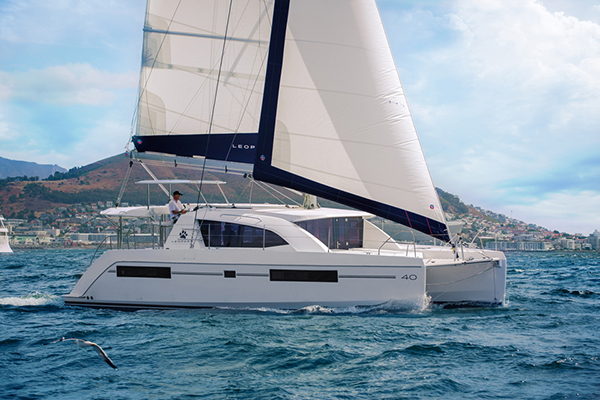 I can say with some measure of pleasure that, so far, of the over 800 catamarans we have sold at The Multihull Company and Balance Catamarans that not a single customer of ours has capsized – at least that I know of! This is quite amazing when you consider that we specialize in live-aboard sailors, adventurers, and performance cat enthusiasts. With that said, I’ve had a couple dismastings in our family of owners, a few boats have gone aground, and three of our owners have had collisions with other vessells. To date, thank goodness, there has not been a single yachting related death in our family of boat owners. Not so long ago one of our catamaran family members ran their Leopard 46 aground on a reef in Huahine, French Polynesia. They are a happy go-lucky Mormon family who love the sea and set about with their children to sail around the world offering love and service to others anywhere they visited. They brought great honor to their church by the graciousness of their heartfelt service. This is true especially in countries that have small navy’s and less than accurate charts. I learned this from my friend Russell Eddington who sailed around the world on a Dolphin 460 we built for him in Brazil. I had visited him in Thailand and we anchored in Crabbe bay. Russell said, “Phil, come take a look at the plotter and see where it says we are.” We were anchored safely, well out in the middle of the bay, but the plotter had us 25 yards up on a beach. What happened to the Govatos family is that they arrived at Huahine too late in the afternoon, had never been there before, and trusted in their chart plotter. Lacking the visuals they required to enter this narrow, reef-lined opening safely, they entered when they should have stood off for the night. This is a mistake made by many. Some get lucky, many do not. I’ll never forget running into a delivery captain on the ferry from Tortola to St. Thomas a few years back who had just delivered a brand new 45 foot French catamaran to her new owner a few days earlier. On his first day sailing the happy new owner set his autopilot, fell asleep on the trampoline and ran into a reef. To add insult to injury he left the sails up long enough for the boat to get driven even deeper into the rocks as such that his yacht was destroyed. If you are near land, best be careful. Another huge mistake that has led to more than a few mishaps is sailors setting their autopilots and failing to account for current and drift to set them far off course after miles of sailing. Some years ago a man ran a Lagoon 55 onto a reef in French Polynesia for this very reason. It is vital that watch keepers keep a close eye of where they are and where they are set so they can compensate appropriately. Catamarans really do not “talk to you” like monohulls. You get by a big gust and they do not heel over. Instead, all of the load goes right onto her sails and rigging and is transferred to her mast base, bulkheads, and hulls. 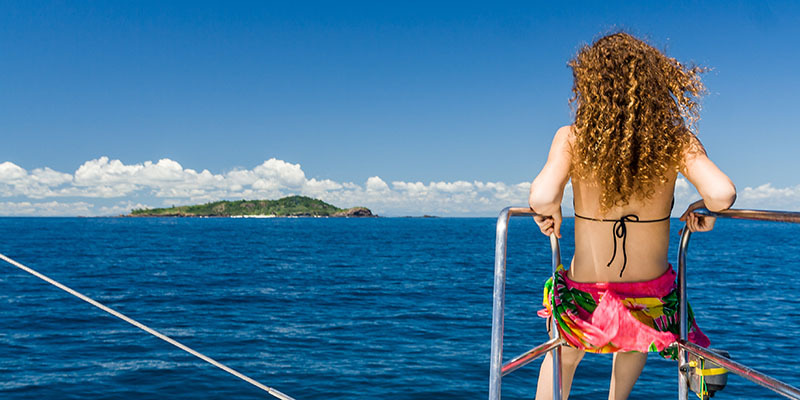 Wise voyaging requires that you learn the sailing “sweet spot” of your catamaran on all points of sail and never carry more sail than you need to remain at or below your sweet spot. My own experience from sailing most of the production cats is that this is a range been 7 and 8 knots upwind. To go any faster you really have to push these cats very hard. Off the wind the sweet spot is typically a knot or two higher on most production cats. Anyways, the moment you are sailing in your sweet spot, if the winds picks up, shorten sail. Your speed is not likely to drop much, but you will be taking a lot of pressure off your sails, rig, mast base, bulkheads and hulls. Best of all your cat will ride more smoothly, comfortably, and safely. Many accidents at sea come from fatigue. If you ever find yourself terribly tired while sailing in big seas and wind it is usually a good idea to “park your boat” if you have enough sea room. Drop the mainsail, roll in most of the jib, pull it a bit to windward, turn the helm to windward and sit it out. If it is really rough, set a sea anchor. Running with big seas is very tiring and difficult to do at night unless you have a lot of good and experienced crew onboard. You’re not racing, you’re cruising, so hove-to and chill out. If you have ever sailed up the Delaware Bay at Night, with the lights of Wilmington to your west and the shoreline dotted with lights North and South, I can tell you it is very hard to pick out the lights of other vessels. I always set my course these days just to the side of shipping lane markers whenever I’ve got the water to do so. I certainly do not think it is a good idea to cross the straits of Gibraltar toward Africa at night. When crossing oceans, know where the shipping lanes are, plot courses to either side of them, and use extra caution when crossing the lanes at night. One great thing about AIS is that it can be set to alert you to close traffic, so this is a godsend for short handed voyagers. AIS is truly an amazing safety tool. If you are short-handed you are actually a lot safer to sail a bit further out than the bulk of the traffic hugging close to the coast. The further out you are, as a rule, the deeper it is, the less danger of running aground, running into a lobster pot, a bouy or some unsighted small craft. If you ever sail up the Malaka Straights, be careful – the vast majority of little fishing boats are sailing without any form of marine lighting you could possibly recognize. Losing a rig is no fun. It is better than falling from the sky, I grant, but still a very unpleasant experience. At night it can be rather horrifying when you hear that heavy thud. A good rig survey will reduce your chances of a dismasting significantly and also protect you from your insurance carrier claiming you did not practice prudent maritime precautions if you should lose your rig. A great radar is your best friend, especially when sailing at night, as it shows where the rain is falling and the storm cells are located. If you stay focused on this you can generally position yourself to avoid storm cells, or at least to position yourself from from their centers. This will reduce your chances of a lightning strike and often save you from running into significant wind gusts. The best and safest way to furl and unfurl headsails is to drop downwind, remove the pressure, and furl and unfurl when the headsails are in a nearly limpid state. I continue to be blown away at how many people do not do this and struggle with massively loaded furlers and sheets. I suppose it goes without saying that you want to be certain your anchor is firmly set when resting at an anchorage. 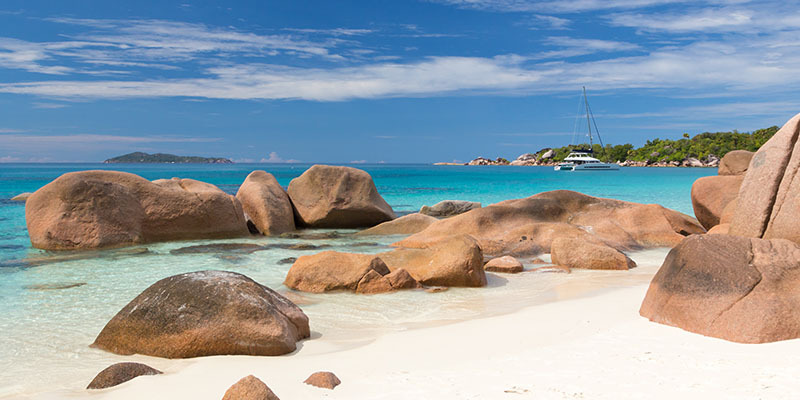 It is also critical to look carefully at where you are positioned in relation to the land, nearby rocks or reefs as well as the other yachts around you. 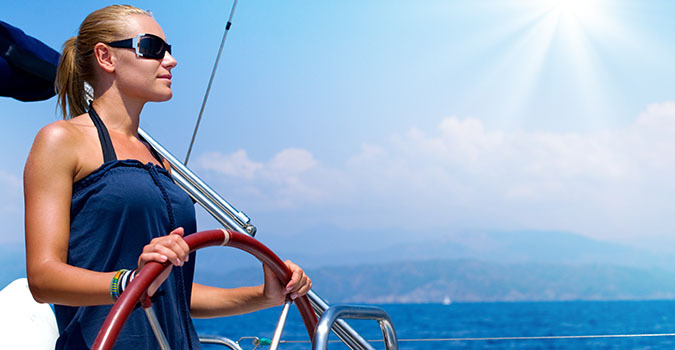 Ask yourself: what if that boat to my right starts to swing into me, or drags her anchor? What if the wind switches direction at night? What if a current changes direction on me? Think carefully through the variables and plan your exit strategy for that 3 AM scramble. Why Do a Long Passage or Ocean Crossing Without a Sat Phone and Modern Weather Routing to Assist You? Satellite communications have made cruising safer than ever before because you no longer have to sail blindly into bad weather. If you are competent at reading Grib files, get them and do that. If not, why not hire a great weather routing company to guide you? There is simply little reason these days to find yourself in the brunt of a major storm if you monitor weather closely and route away from the worst. If you are worried about docking your boat in a new place, or taking her into a travel lift, either because of current or high winds or a tight fit you feel unconfident to manage, then don’t do it. Either get some help or find another day or place to dock or haul. Most boat damage comes from running into docks, other boats, or into travel lift walls. Oh, yeah, and don’t go under bridges lower than your mast! And be careful when sailing in the shallows! Get yourself massive blow up fenders with felt covers and get plenty of them if you wish to allow yourself a margin for error when coming into docks – especially in high winds. Great big fenders can make up for a multitude of sins, and no matter how good a pilot you are, great big fenders reduce stress for everyone. Before you leave a dock, or an anchorage, unzip your sailbag, attach your mainsail halyard, and pull your lazy jacks well forward and tie them off at the mast. On so many cats these days you have to climb up steps to attach a halyard or unzip the lazy bag. Why be climbing up steps or walking down a bimini at sea when you can do these at anchor or a dock? And why zip up a lazy bag until you are anchored and back at a dock? Too many people hurt themselves doing such things in bumpy seas. There’s just no reason to do it, so don’t. Since catamarans do not sink unless they burn, the most dangerous thing on a cat at sea is a catastrophic fire. Get your propane system checked for leaks and make sure your solenoid system is working properly. If you are ever hit by a sudden gust of wind, drive down hard, never up. The moment you head up on a cat in a gust the apparent wind moves aft, not forward, and this is how racing cats capsize. This is counter-intuitive for a lot of monohull sailors. When sailing at night, short-handed, sail the boat throttled down a notch. Take in an extra reef, slow down a bit, and increase your margin for error. If you are going to gybe, pull your mainsail into the center of your boat, sheet it in pretty tight and turn through the wind very slowly. A violent gybe is unnecessary, dangerous, breaks battens and can subject your entire rig to needless stress. If someone is joining you for a sail, or a vacation, make it clear to them that safety is more important to you than them missing a flight or some obligation back home. Which means never sailing to any other agenda but yours and the safety of your boat. If people have to wait for you to arrive, let them wait. There are plenty of hotels in the world. If people are demanding you drop them off at X location to catch a flight, or to return to work, that is their agenda, not yours. Anyone who thinks things will always run on a schedule when yachting should not be a guest on a boat.